Energy Future Coalition, et al. v. EPA, et al., 793 F.3d 141 (D.C. Cir. July 14, 2015) — The U.S. Court of Appeals for the District of Columbia Circuit (DC Circuit) rejected a challenge to 2014 EPA rules regulating emission testing requirements for new motor vehicles, 40 C.F.R. § 1065.701(a), concluding that EPA’s rules were simply reflecting the statutory scheme enacted by the Congress. Gunpowder Riverkeeper v. FERC, 2015 WL 4450952 (D.C. Cir. July 21 2015) — DC Circuit denied Gunpowder Riverkeeper’s petition seeking a review of FERC’s issuance of a conditional certificate for public convenience and necessity granted to Columbia Gas Transmission to extend a natural gas pipeline in Maryland pursuant to FERC’s authority under the Natural Gas Act (NGA). DC Circuit agreed with FERC that the group did not have a cause of action because its desire to protect its members property in the face of alleged noncompliance by FERC with the National Environmental Policy Act (NEPA) and Clean Water Act (CWA) does not fall within the “zone of interests” protected by the NGA, NEPA, or CWA; a claim based on eminent domain will not support a CWA claim. In a partial dissent, Judge Rogers would hold that the allegations were sufficient to trigger claims under NEPA and the CWA. State National Bank of Big Spring, et al., v. Jacob J. Lew, Secretary of the Treasury, et al., 795 F.3d 48 (D.C. Cir. July 24 2015) — DC Circuit held that a constitutional challenge to the Consumer Financial Protection Bureau (CFPB) may continue in the U.S. District Court, concluding that the petitioners have standing, except that the bank lacks standing to challenge the constitutionality of the Financial Stability Oversight Council and the Government’s “orderly liquidation authority.” Eleven states joined this case as State Appellants. EME Homer City Generation, L.P., v. EPA, __ F.3d __ (D.C. Cir. July 28, 2015) — A unanimous DC Circuit granted several challenges, invalidating the 2014 SO2 emissions budgets imposed on Alabama, Georgia, South Carolina and Texas, and the 2014 ozone-season NOx budgets for Florida, Maryland, New Jersey, New York, North Carolina, Ohio, Pennsylvania, South Carolina, Texas, Virginia, and West Virginia. As a result, EPA must reconsider these emissions budgets; and other, broad-ranging challenges to EPA’s rulemaking were rejected. The American Coal Company v. Federal Mine Safety and Health Review Commission, et al., 796 F.3d 18 (D.C. Cir. July 31, 2015) — DC Circuit issued a ruling affirming the Secretary of Labor’s interpretation of the term “fire” in the Federal Mine Safety and Health Act of 1977 and a decision of the Federal Mine Safety and Health Review Commission that patches of smoldering and smoking coal observed by mine safety inspectors in a coal mine could support the issuance of safety orders, citations and fines; no visible flames were present. SW General, Inc., dba Southwest Ambulance, v. NLRB, 796 F.3d 67 (D.C. Cir. August 7, 2015) — DC Circuit vacated an order of the National Labor Relations Board (NLRB) in an unfair labor practices matter because the NLRB’s Acting General Counsel was serving in that capacity in violation of the Federal Vacancies Reform Act of 1998 (FVRA). The DC Court also noted that the NLRB was not entitled to Chevron deference when it was interpreting the FVRA and neither was the DOJ’s Office of Legal Counsel, whose 1999 interpretation of the 1998 statue coincided with the NLRB ’s views. National Association of Manufacturers, et al. v. SEC, 748 F.3d 359 (D.C. Cir. August 18, 2015) — A divided panel of the DC Circuit held that the SEC’s “conflict minerals” rule’s compelled disclosures violate the First Amendment and are unconstitutional. On November 9, 2015, the SEC’s petition for a rehearing was denied. Cause of Action v. FTC, 799 F.3d 1108 (D.C. Cir. August 25, 2015) — DC Circuit, noting that the federal Freedom of Information Act (FOIA) was amended in 2007 to liberalize its processes regarding the news media and Chevron deference does not apply to the FTC’s interpretation of FOIA, held that the FTC and lower court had misconstrued the provisions of the FOIA regarding “representatives of the news media,” finding that clearly the statutory standard criteria for determining who is such a representative for fee waiver purposes has changed, and the courts must abide by these changes. Sierra Club v. U.S. Army Corps of Engineers, et al., 803 F.3d 31 (D.C. Cir. September 29, 2015) — DC Circuit issued a unanimous ruling affirming the rejection of a lawsuit filed by the Sierra Club in which they argued that the federal government was obliged to conduct a NEPA analysis of the entirety of an 580 mile oil pipeline constructed by Enbridge Pipelines (FSP), LLC, holding that the federal government as not required to conduct a NEPA analysis of the entirety of the pipeline project. Chamber of Commerce of the United States, et al., v. NLRB, No. 15-0009 (ABJ), 2015 WL 4572948 (D.C. July 29, 2015) — The U.S. District Court for the District of Columbia Circuit issued a long opinion rejecting arguments made by major business trade groups that the new NLRB union election rules exceed the NLRB’s statutory authority, are arbitrary and capricious and violate employers’ rights under the First and Fifth Amendments to the Constitution. The Court expressed frustration with the plaintiffs’ failure to specify exactly how these new rules violated the National Labor Relations Act (NLRA) or Constitution. Beardslee, et al. v. Inflection Energy, LLC, et al., 798 F.3d 90 (2nd Cir. July 31, 2015) — Energy Law; impact of /New York State Moratorium on Fracking Operations. U.S. Court of Appeals for the Second Circuit held that the moratorium was not a “force majeure” extending the term of negotiated oil and gas leases. National Resources Defense Council, et al., v. EPA, 790 F.3d 875 (2nd Cir. October 5, 2015) — Environment Law, CWA. EPA’s Vessel General permit regulating the discharge of ballast water held by Second Circuit to have been promulgated in violation of the APA, requiring additional work by the agency. FTC v. Wyndham Worldwide Corporation, et al., 799 F.3d 236 (3rd Cir. August 24, 2015) — Federal Trade Commission (FTC) Regulation of Deceptive Trade Practices. The U.S. Court of Appeals for the Third Circuit held Wyndham Hotels cybersecurity practices were subject to review by the FTC. Indian Harbor Insurance Co. v. F & M Equipment, Ltd., f/k/a Furnival Machinery Company, __ F.3d __ (3rd Cir. October 15, 2015) — Environmental Law; environmental insurance. Third Circuit held that, under Pennsylvania law, a proposed renewal of insurance coverage must be reasonably consistent with the initial policy. Foster et. al. v. EPA, et al., No. 2:14-cv-16744, 2015 WL 5786771 (S.D. W.V. September 30, 2015) — Environmental Law, Judicial review of EPA CWA Compliance Order. The District Court will hear the case. United States v. Kurt Mix, 792 F.3d 603 (5th Cir. June 30, 2015) — Environmental Law, Criminal enforcement of CWA. U.S. Court of Appeal for the Fifth Circuit ordered new trial because of juror misconduct. Gate Guard Services, L.P, et al., v. Thomas E. Perez, Secretary, Department of Labor, 792 F.3d 554 (5th Cir. July 2, 2015) — Labor law. Fifth Circuit held that egregious and unsuccessful prosecution of Fair Labor Standards Act warrants award of defendants’ legal fees. Environmental Integrity Project, et al., v. EPA, 610 Fed. Appx. 409 (5th Cir. July 20, 2015) — Environmental Law; CAA. Fifth Circuit rejected a challenge to the Texas “Flexible Permit” Program, which EPA had approved. Wallace v. Tesoro Corporation, 796 F.3d 468 (5th Cir. July 31, 2015) — Sarbanes-Oxley whistleblower provisions. Fifth Circuit affirmed dismissal of “Whistleblower” claims. Bodie S. Knapp, dba The Wild Side, v. U.S. Department of Agriculture, 796 F.3d 445 (5th Cir. July 31, 2015) — Animal Welfare Act Enforcement. Fifth Circuit upheld substantial fine imposed for unlicensed trafficking in regulated animals. Cox Operating , L.L.C., v. St. Paul Surplus Lines Insurance Company, 795 F.3d 496 (5th Cir. July 30, 2015) — Environmental Insurance. Fifth Circuit affirmed lower court’s ruling that the insurance company was in breach of its policy and the Texas Prompt Payments Act. Plains Pipeline, L.P., et al., v. Great Lakes Dredge & Dock Company, et al., ___ F.3d ___ (5th Cir. August 12, 2015) — Pipeline Excavating State “One-Call” statute. Fifth Circuit held damage to underwater pipeline not subject to the law. Aviles v. Merit Systems Protection Board, 799 F.3d 457 (5th Cir. August 24, 2015) — Whistleblower Protection for federal employees. Fifth Circuit rejected retaliation claim. United States v. CITGO Petroleum Corporation, et al., 801 F.3d 477 (5th Cir. September 4, 2015) — Environmental Enforcement and the Migratory Bird Treaty Act (MTBA). Fifth Circuit reversed corporate criminal convictions under CAA and MTBA creating a circuit split. United States v. Luminant Generation Company, LLC, and Big Brown Power Company, LLC, No: 3:13-CV-3236-K, 2015 WL 5009378 (D.C. Tex. August 21, 2015) — Environmental; CAA enforcement. Fifth Circuit dismissed alleged violations of CAA as being time-barred. United States v. Lipar, No. H-10-1904, 2015 U.S. Dist. Lexis 115821 (D.C. Tex. August 30, 2015) — Environmental; CWA enforcement. District Court dismissed alleged violations of CWA, and sanctioned the government. Permian Basin Petroleum Association, et al., v. Department of the Interior, et al., No. MO-14-CV-50, 2015 WL 5192526 (W.D. Tex. September 1, 2015) — Endangered Species Act and listing decision. District Court held that the listing of the Lesser Prairie Chicken as a threatened species was arbitrary and capricious. In Re: Oil Spill by the Oil Rig “Deepwater Horizon” in the Gulf of Mexico, on April 20, 2010, 77 F. Supp. 3d 500 (September 11, 2015) — Environmental Law; spill reporting. District Court held that Deepwater Horizon oil spill did not trigger EPCRA reporting requirements. Auspro Enterprises, LP and Michael Kleinman v. City of Austin, No. 1:15-CV-00497-RP (W.D. Tex. October 30, 2015) — Environmental Law; application of CWA to Municipal Government. District Court held that Austin City riverside construction project was subject to CWA restrictions. MEMC Pasadena, Inc., v. Goodgames Industrial Solutions, LLC, No. 4:13-CV-599 (S.D. Tex. October 27, 2015) — Environment; CERCLA cost recovery. District Court held that waste management broker could be liable under CERCLA as an “arranger”. Sierra Club v. EPA, et al., 781 F.3d 299 (6th Cir. July 14, 2015) — Environmental Law; CAA Non-attainment designations. U.S. Court of Appeal for the Sixth Circuit held that EPA’s redesignation of certain areas as being in attainment of the CAA was inconsistent with the CAA. State of Ohio, et al. v. U.S. Army Corps of Engineers, 803 F.3d 804 (6th Cir. October 9, 2015) — Environmental Law; new CWA rules defining “Waters of the US”. Sixth Circuit issued nationwide stay of the new rules. Merrick, et al., v. Diageo Americas Supply, Inc., No. 14-6198, 2015 WL 6646818 (6th Cir. November 2, 2015) — Environmental Law; Class Act lawsuit for damages. Sixth Circuit held state law based all nuisance lawsuit is not preempted by federal CAA. Florida Power Corp., dba Progress energy Florida, Inc., v. FirstEnergy Corp., No. 14-4126, __ F.3d __ (6th Cir. November 5, 2015) — Environmental Law; CERCLA cost recovery lawsuits. Sixth Circuit held CERCLA statute of limitation does not bar this action. Rowe v. Gibson, et. al., 798 F.3d 622 (7th Cir. August 19, 2015) — Federal litigation; use of internet research by the court. Prisoner civil rights claim concerning alleged inadequate medical treatment buttressed by U.S. Court of Appeal for the Seventh Circuit’s extra record internet research. The Peoples Gas Light and Coke Company v. Beazer East, Inc., 802 F.3d 876 (7th Cir. September 21, 2015) — Environment Law; CERCLA cost recovery. Seventh Circuit rejected cost recovery claim after reviewing pre-CERCLA 1920 construction agreement. Lion Oil Company v. EPA, 792 F.3d 978 (8th Cir. July 8, 2015) — Environmental Law; CAA fuel standards. U.S. Court of Appeal for the Eighth Circuit affirmed EPA’s decision not to extend refinery’s RFS fuels standard exemption. United States, et al., v. STABL, Inc., 800 F.3d 476 (8th Cir. August 27, 2015) — Environmental Law; CWA Enforcement. Eighth Circuit affirmed EPA’s decision to assess a large fine against a rendering plant based on the DMR reports submitted by the defendant. Thomas E. Perez, Secretary, U.S. Department of Labor v. Loren Cook Company, 803 F.3d 935 (8th Cir. October 13, 2015) — Administrative Law. Eighth Circuit, in an en banc ruling, held that the Secretary of Labor’s interpretation of an OSHA work place safety rule was not entitled to deference. State of North Dakota, et al., v. EPA and U.S. Army Corps of Engineers, No. 3:15-cv-00059-RRE-ARS, 2015 WL 5060744 (S.E.D. N.D. September 1, 2015) — Environmental Law; CWA. District Court issued a preliminary injunction against the new “Waters of the US” rule promulgated by EPA and the Corps of Engineers. United States v. Roach, 792 F. 3d 1142 (9th Cir. July 8, 2015) — Environmental Law; RCRA criminal enforcement. U.S. Court of Appeal for the Ninth Circuit affirmed the conviction of a defendant charged with the illegal storage of hazardous waste. Chadd v. United States, National Park Service, 794 F.3d 1104 (9th Cir. July 27, 2015) — Federal Tort Claims Act; National Parks. Ninth Circuit affirmed dismissal of a personal injury lawsuit based on fatal injuries suffered by a visitor to a national park in Washington State. Chinatown Neighborhood Association, et al., v. Harris, Attorney General of the State of California, 794 F.3d 1136 (9th Cir. July 27, 2015) — Protected Species; Preemption of State Law. Ninth Circuit held that the California’s Shark Fin Law was not preempted by the federal Magnuson-Stevens Fishery Conservation and Management Act. City and County of San Francisco v. U.S. Department of Transportation, et al., 796 F.3d 993 (9th Cir. July 30, 2015) — Federal Pipeline Safety Laws and Federal Government liability for inadequate monitoring and regulation of state agencies. Ninth Circuit affirmed dismissal of a lawsuit alleging that the U.S. Department of Transportation failed to provide adequate supervision and oversight of state pipeline safety programs. In re Pesticide Action Network North America, et al., v. EPA, 790 F.3d 875 (9th Cir. August 15, 2015) — Federal Pesticide Regulation. Ninth Circuit ordered EPA to act expeditiously on petitions requesting a regulatory ban on specified pesticides regulated by EPA. Minnick v. Commissioner of Internal Revenue, 796 F.3d 1156 (9th Cir. August 12, 2015) –Environmental Law and Federal Tax credits. Ninth Circuit affirmed Tax Court’s disallowance of charitable deductions based on the creation of a Conservation Easement. ONRC ACTION v. U.S. Bureau of Reclamation, 798 F.3d 933 (9th Cir. August 21, 2015) — Environmental Law; CWA regulation of water transfers. 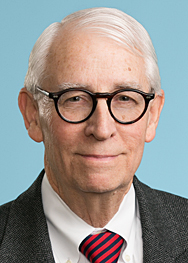 Ninth Circuit held that disputed water transfers by federal reclamation agencies were not subject to NPDES permits. W. Scott Harkonen, M.D., v. U.S. Department of Justice, et al., 800 F.3d 1143 (9th Cir. September 8, 2015) — Administrative Law; Information Quality Act. Ninth Circuit held there is no right to seek judicial review of a Federal Government press release used in connection with a Federal enforcement action. Shearwater, et. al., v. Dan Ashe, Director, U.S. Fish and Wildlife Service, et al., 2015 WL 4747881 (N.D. Cal., August 11, 2015) — Endangered and Protected species. District Court rules that a U.S. Fish and Wild Life Service rule extending the duration of permits authorizing the “take” of Bald and Golden Eagles to 30 years must be set aside to assure compliance with the APA. Energy and Environment Legal Institute, et al., v. Epel, et al., 793 F.3d 1169 (10th Cir. July 13, 2015) — Commerce Clause; Energy Law. U.S. Court of Appeal for the Tenth Circuit held that Colorado’s renewable energy mandate did not violate the commerce clause. United States v. Rodebaugh, dba D&S Guide and Outfitter, 798 F.3d 1281 (10th Cir. August 25, 2015) — Lacey Act wildlife protections. Tenth Circuit affirmed the conviction of a professional guide and outfitter who participated in the illegal taking of protected wildlife. State of Wyoming, et al. v. U.S. Department of Interior, et al. (Jewell), No. 2:15-CV-043-SWS, 2015 WL 5845145 (D. N.M. September 30, 2015) — Energy Law; Federal Regulation of Hydraulic Fracturing on Federal Land. District Court granted a nationwide preliminary injunction against new Department of Interior hydraulic fracturing rules on the basis that the Department may not have the legal authority to issue these rules.